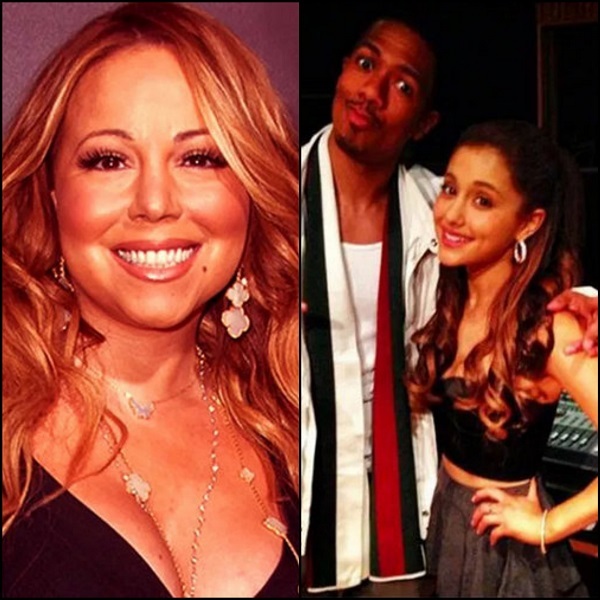 Nick Cannon says his ex-wife Mariah Carey would be left completely baffled whenever Ariana Grande would be referred to as "the next Mariah." It created a divide between them. "We have to respect our legends, especially the ones still putting out hits," he says. Mariah is very insecure, and takes great offence at "the new Mariah" tag. I've noticed she will distance herself from the artist, even though it is never the artists' fault (Christina Aguilera, Leona Lewis). Yes, it's disrespectful, as it shits on Mariah's legendary achievements. How would you feel if you've been in the game for almost 30 years and a new artist that hasn't achieved half a fraction of your success were pegged as the new YOU? I think what made the Ariana situation worse is that Ari's team were DELIBERATELY trying to market her as a mini me Mariah. I'm glad she's moved away from that and has come into her own as an artist. I hope one day Ariana gets to meet her idol.